The British Academy of Film and Television Arts has announced the nominations for the annual Virgin TV British Academy Television Awards, which reward the very best television Programs broadcast in the UK in 2017. The ceremony will be held at the Royal Festival Hall on Sunday, May 13, and hosted by Sue Perkins. Black Mirror, Line of Duty, The Crown and Three Girls and are each nominated in three categories. Black Mirror has two first-time nominees recognized for their performances: a Leading Actor nomination for Joe Cole for Hang the DJ, which is also nominated in the Single Drama category, and a Supporting Actor nomination for Jimmi Simpson for USS Callister. Line of Duty receives nominations in the Drama Series category, as well as a Leading Actress nomination for Thandie Newton and a Supporting Actor nomination for Adrian Dunbar. 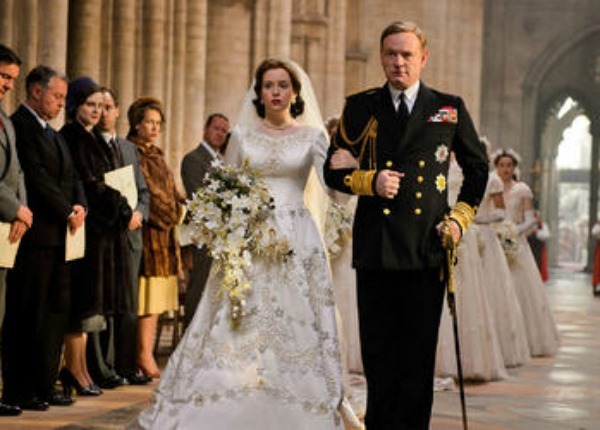 Also nominated in the Drama Series category is The Crown, which receives performance nominations for the second year in a row for Claire Foy for Leading Actress and Vanessa Kirby for Supporting Actress. Completing the Drama Series category is returning drama Peaky Blinders and The End of the F###ing World, written by BAFTA Breakthrough Brit, Charlie Covell. Other BAFTA Breakthrough Brits nominated are writers Daisy May Cooper and Charlie Cooper who receive a nomination for This Country for Scripted Comedy. Daisy May Cooper is also nominated in Female Performance in a Comedy Program. Breakthrough Brit Molly Windsor receives a Leading Actress nomination for her performance in Three Girls. Her co-star Liv Hill receives a Supporting Actress nomination. Three Girls is also recognized in Mini Series alongside Howards End, The Moorside and The State. Also nominated in the Scripted Comedy category are Chewing Gum, Timewasters and Catastrophe, for which Sharon Horgan receives a nomination in the Female Performance in a Comedy Program category. Also in Female Performance in a Comedy Program are Anna Maxwell Martin for Motherland and Sian Gibson for Peter Kay’s Car Share. Receiving his first Leading Actor nomination is Jack Rowan for Born to Kill. In the Leading Actress category, Sinead Keenan receives her first BAFTA nomination for her performance in Little Boy Blue. The late Tim Pigott-Smith is nominated for King Charles III, which also receives a Single Drama nomination. Also nominated in the Single Drama category is Against the Law and Murdered for Being Different. In the Supporting Actor category two further actors receive their first BAFTA nominations. Anupam Kher is nominated for his performance in the adaptation of Satnam Sanghera’s memoir, The Boy with the Topknot, and Brían F. O’Byrne receives a nomination for Little Boy Blue. Anna Friel receives her first BAFTA nomination in the Supporting Actress category for Broken, alongside her co-star Sean Bean, who is nominated for Leading Actor; and first-time nominee Julie Hesmondhalgh is nominated for her Supporting Actress performance in Broadchurch. Other first-time performance nominees include Samson Kayo for Male Performance in a Comedy Program for Famalam; and Sandi Toksvig, nominated for QI in the Entertainment Performance category. Also nominated for Male Performance in a Comedy Program is Asim Chaudhry for People Just Do Nothing, Rob Brydon for The Trip to Spain, and Toby Jones for Detectorists. Completing the Entertainment Performance category is Adam Hills, who receives his second nomination for The Last Leg, which is also nominated in the Comedy Entertainment Program category; last year’s winner, Michael McIntyre, nominated for Michael McIntyre’s Big Show; and Graham Norton, for The Graham Norton Show, who receives his 16th BAFTA nomination. Michael McIntyre’s Big Show also receives a nomination in Entertainment Program alongside Ant & Dec’s Saturday Night Takeaway, Britain’s Got Talent and The Voice UK. Nominated alongside The Last Leg in the Comedy Entertainment Program category are Murder in Successville, Taskmaster and Would I Lie to You? The Short Form Program category, new for 2018, recognizes Programs of between three and 20 minutes across all genres, premiering on a broadcast or online platform. The nominations are Britain’s Forgotten Men, Eating with My Ex, Morgana Robinson’s Summer, and Pls Like. Four Programs compete in the Current Affairs category: Raped: My Story, Syria’s Disappeared: The Case Against Assad (Dispatches), Undercover: Britain’s Immigration Secrets (Panorama) and White Right: Meeting the Enemy (Exposure). In the Factual Series category, the four nominations are: Ambulance, Catching a Killer, Drugsland and Hospital. Presenter-led documentaries dominate the Single Documentary category this year, with nominations for Chris Packham: Asperger’s and Me, Louis Theroux: Talking to Anorexia, Rio Ferdinand: Being Mum and Dad and One Deadly Weekend in America. Blue Planet II, which has returned to the BBC after 16 years, is nominated in the Specialist Factual category, alongside Basquiat: Rage to Riches, Blitz: The Bombs that Changed Britain and Elizabeth I’s Secret Agents. Nominated in the Features category are Antiques Roadshow, Cruising with Jane McDonald, No More Boys and Girls: Can Our Kids Go Gender Free?, and The Secret Life of the Zoo. Competing in the International category are dramas Big Little Lies, Feud: Bette and Joan, The Handmaid’s Tale and documentary The Vietnam War. The nominations for the Live Event category are ITV News Election 2017 Live: The Results, One Love Manchester, Wild Alaska Live and World War One Remembered: Passchendaele. Domestic and international news events feature in this year’s News Coverage category, with nominations for the coverage of The Grenfell Tower Fire from both Channel 4 News and ITV News at Ten; alongside Sky News’ coverage of The Battle for Mosul and The Rohingya Crisis. The nominees for the Reality & Constructed Factual category are Celebrity Hunted, Love Island, Old People’s Home for 4 Year Olds and The Real Full Monty. Competing in this year’s Soap & Continuing Drama category are Casualty, Coronation Street, Emmerdale and Hollyoaks. The nominations for this year’s Sport category are Anthony Joshua v. Wladimir Klitschko, Six Nations: Wales v. England, The Grand National and the UEFA Women’s Euro Semi-Final: England v. Netherlands. The nominations for the publicly-voted Virgin TV Must-See Moment are Blue Planet II: Mother Pilot Whale Grieves, Doctor Who: The Thirteenth Doctor Revealed, Game of Thrones: Viserion is Killed by the Night King, Line of Duty: Huntley’s Narrow Escape, Love Island: Stormzy Makes a Surprise Appearance, and One Love Manchester: Ariana Grande Sings ‘One Last Time’. Rarely has an awards show begun on such a rousing note.